Fiona and Alex had settled into the normal life of young parents in London. They had established their home and careers, juggling those demands with caring for a child and growing another. While typically hectic, their life was fundamentally predictable. When little Clementine was born, her perfect health gave them no reason to fear this would change. She was hitting her developmental milestones and was an easy, cheery baby. When Clemmie was five and a half months old, she started having seizures. She was diagnosed with infantile spasms, also known as catastrophic childhood epilepsy because of the potential lifelong damage to the child’s brain. Fiona and Alex began the extended process of attempting varying treatments recommended by doctors. They tried steroids, the first line of attack for halting infantile spasms. When those didn’t work, they embarked on a long and discouraging journey of anticonvulsants. Her doctors turned pessimistic, warning Fiona and Alex that Clemmie’s prognosis was bleak. Throughout this process, Fiona’s godfather Geoffrey Klug—former Director of Neurosurgery at Melbourne’s Royal Children’s Hospital (RCH)—stayed in touch with her and closely followed Clemmie’s situation. 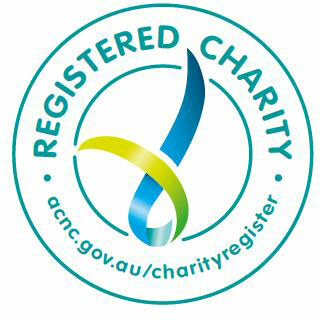 He consulted with Dr Simon Harvey, Consultant Neurologist and Director of the RCH’s Children’s Epilepsy Program, and advised the family seek a second opinion from Dr Harvey and Neurosurgeon Wirginia Maixner. 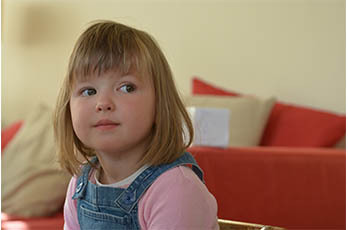 When Fiona brought Clemmie to the RCH, she was quickly diagnosed with cortical dysplasia and Dr Harvey recommended she have urgent neurosurgery by Dr Maixner. Cortical dysplasia is a structural abnormality that occurs in the brain as it develops in utero. It usually causes the embryo to become inviable and naturally terminate. In cases where the child survives, the theory is that at approximately six months old, they hit a developmental threshold that triggers seizures. To have the highest chance for a best outcome, experts recommend surgical intervention as soon as possible, a life-threatening risk that doesn’t guarantee results. Alex and Fiona immediately packed up their lives in London and moved to Melbourne for Clemmie’s operation and ongoing care. By this point, Clemmie was 16 months old, seizing up to 100 times a day, and essentially unresponsive to anyone or anything around her. Even with surgery, which, in Clemmie’s case, would involve disconnecting three of the four lobes in her left hemisphere—the lobes that cover speech, language, memory, emotion and vision—her most favourable prognosis was uncertain. But, hopefully, it would at least stop her seizures and any further damage to her brain. Clemmie survived the surgery. What’s more, it not only halted her seizures entirely, it stopped them without requiring any anti-convulsant assistance. Alex and Fiona’s fundamental hope was fulfilled. But otherwise, Clemmie’s recovery was slow. She had limited emotional range, continued to be detached and didn’t like to make eye contact. While she started to crawl, she developed behavioural challenges such as head banging and constantly tapping, and she still didn’t speak. Only Clemmie’s older brother, Hugo, was able to reach her, willing smiles from her despite her condition. She was diagnosed with global developmental delay with signs of autism. With the RCH surgical team’s expertise delivered, Fiona and Alex were now to navigate the world of intervention. As they began exploring, they discovered that existing care options focused much more on giving them strategies for coping with Clemmie instead of working directly with her to stimulate her development. With government funding, she received 45 minutes of speech therapy a fortnight, astoundingly meagre assistance given her magnitude of delay. It was during this time that Alex and Fiona met up with one of Alex’s cousins and his wife, who happened to be aware of L4Life. They encouraged them to meet L4Life Chair Mary Muirhead and consider ABA. Fiona met Mary and L4Life Clinical Consultant and Business Manager, Pam Roy. Facing few options, Alex and Fiona opened to the hope of that, through ABA therapy’s methodical skill-building from scratch, Clemmie could improve. For L4Life, Clemmie’s situation was a new frontier; the nature of her autism was unlike anything that L4Life clinicians had encountered and they couldn’t be certain they could help her. The best everyone could do was try. During her first meeting with Clemmie in December 2014, L4Life Clinical Director Emma Miller sat with her, assessed her abilities and put together a basic, play-based ABA program. As with all L4Life children, she focused on ensuring that Clemmie’s program addressed her specific needs and capability at the time. As these changed, she adjusted her program accordingly. The initial goals for Clemmie were attention and gross motor development. Because Clemmie was not connecting with anyone around her, her therapy focused on attention-building through songs, toy play and physical play. As her physical development was crucial, her therapy also focused on stamina, hand-eye coordination, then moved to balance and walking. As Clemmie learned to pay attention, her therapy progressed to working on her language development. It focused first on her understanding of language. As this developed, it shifted to imitation, including imitation of sounds, then words. Throughout the process, Clemmie required flexibility from her team to vary the length and frequency of her therapy sessions, including break times, while she slowly increased her stamina. In the 18 months since L4Life started working with Clemmie, her progress has been remarkable—more than anyone dared hope. At three and a half years old, Clemmie is now speaking five to six-word sentences, imitating and expressing abstract thoughts. She started walking last September and has begun climbing, running and jumping. She is incredibly social and spontaneously greets people when they arrive, notices when someone is missing and requests them. When not in a session, she constantly seeks out interaction with her family. She continues to cherish Hugo in particular, and her parents believe that his constant, patient attention and love have played an important role in his sister’s recovery. Clemmie genuinely enjoys learning. In addition to all of her attention, gross motor and communication gains, she has learned colours and is developing concepts such as big/little and under/on top. Through her ABA program she has also become toilet trained and is becoming more independent in her play. As Clemmie’s ability to learn has improved, she has become less frustrated. Her therapist team is moving her sessions beyond home to parks, supermarkets and the library, encouraging her to experience and absorb the broader world. The work for the many people around Clemmie isn’t done. But her improvements inspire each of them with the belief in extraordinary possibilities; possibilities resulting from extraordinary wonders such as modern medicine, childhood brain plasticity, the power of behavioural intervention, family determination … and love.